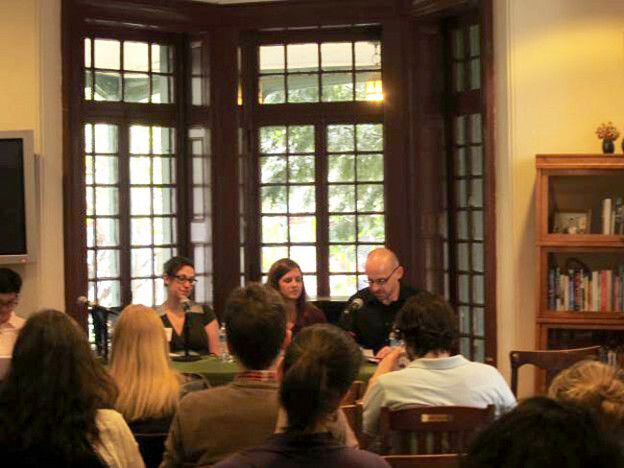 Stefania Heim, Hannah Baker Saltmarsh, and Piotr Gwiazda at Kelly Writers House, April 2013. As I show in my book, James Merrill and W. H. Auden: Homosexuality and Poetic Influence, the truth is more complicated. While Merrill’s poetry as a whole suggests the limits of group identification and representation, it also participates in the sexual politics of his time, most earnestly, but also idiosyncratically, in The Changing Light at Sandover, a verse trilogy composed with the help of a Ouija board. In this essay I offer a few thoughts about McCourt’s notion of “naked singularity” because I believe this notion might help us better understand Merrill’s position vis-à-vis identity politics — the rhetoric of difference (whether ethnic, gender, or sexual) that emerged from the liberation struggles of the late 1960s and the early 1970s. It is safe to say that after three decades of writing poems that were “literary, private, traditional,” Merrill would be skeptical of what Todd Gitlin dismissively has called “the cant of identity.” And yet he certainly understood the social and political implications of the gay and lesbian rights movement and appreciated its community-building energy. As his honors accumulated and his fame soared, he knew that, whether he wanted it or not, many readers would view him predominantly as a gay poet and look for signs of commonality in his poetry. As critics and reviewers continued to express polarized opinions about his work, this intensely private poet became (to the extent it is possible for a poet in America to do so) a public figure. 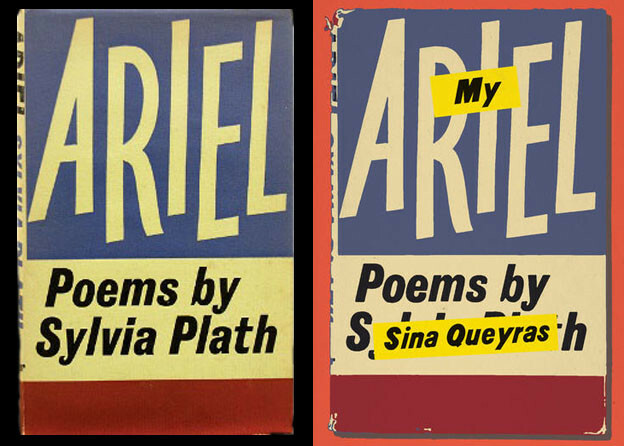 Although widely considered a member of the American “poetry establishment” (most recently by Rita Dove in her introduction to The Penguin Anthology of 20th Century Poetry) Merrill had an uneasy relationship with the American poetry establishment. For one thing, it appears that he almost made it his priority to distance himself from those networks of affiliation (whether geographically or institutionally constituted) that make poetry communities possible in the first place. This insider/outsider position was largely the result of Merrill’s itinerant lifestyle; he and his partner David Jackson spent summers in Stonington, Connecticut, and the rest of the year in Athens, Greece, where for two decades they owned a house. As he once disclosed in an interview, “I feel American in Europe and exotic at home.” While he always kept an apartment in New York City, he also spent considerable amounts of time in the American Southwest and later in Florida, after Jackson had purchased a house in Key West in 1979. In Familiar Spirits, Alison Lurie records her impressions of Merrill as a detached figure in terms that echo those found in McCourt’s book, at one point describing him as “a kind of Martian.” (So apparently Merrill also owned a house on Mars.) The point is that while Merrill certainly published his work with the kinds of journals (Poetry, The Kenyon Review, The Yale Review, The New Yorker, The New York Review of Books) and presses (Atheneum, later Knopf) that generally stood for the idea of “poetry establishment,” he himself, at least in the way he structured his personal and social relations, was only a part-time member of that establishment. (In this respect he can be compared to Gore Vidal, though he did not share Vidal’s passion for American politics.) It is also worth pointing out that, at the time when the New York Times editorial was essentially calling his work irrelevant, the terms “poetry establishment” and even “formal” and “traditional” poetry were about to undergo considerable changes in meaning. Ten years later Robert von Hallberg suggested in his book American Poetry and Culture 1945–1980 that Merrill was a representative of — in fact, that he had forged — the “Cosmopolitan Style” of poetry writing in the United States. But the label didn’t stick. Labels, in general, never seemed to stick to Merrill for very long. Was Merrill really such a detached, remote, solitary figure as McCourt and Lurie make him out to be? What do we know about his literary associations, his friendships with other poets and writers? Langdon Hammer’s biography, when it is published, will reveal that Merrill certainly enjoyed many close relationships with his peers — especially Elizabeth Bishop, Richard Wilbur, Anthony Hecht, Mona Van Duyn, Richard Howard, John Hollander, and W. D. Snodgrass. But as Hammer himself notes, evidence suggests that these relationships “tended to be distant, or usually diverted to friendship and gossip; his more substantial literary exchanges were with protégés” — Stephen Yenser, J. D. McClatchy, Judith Moffett, and many others. We should recall that between 1984 and 1990 Merrill served as the judge of the Yale Series of Younger Poets Competition, and in this capacity he indeed became a fashioner of at least one kind of poetic community, as well as a potential mentor. My own research showed that Merrill saw himself as a resource to many younger poets; this also included financial support he would provide to some of them through the Ingram Merrill Foundation. While letters to his contemporaries, like Bishop, abound with details about their mutual friends, the latest opera performance, or an upcoming trip to Istanbul, his correspondence with younger poets offers practical advice and even bits of poetic theory. It is those letters, I believe, that ultimately will be useful to poets and scholars in the same way Keats’s letters are, or Hart Crane’s. So even this glimpse at Merrill’s literary relationships reveals what the concept of poetry community might have meant to him. It was not, first of all, centered on one particular geographical location or institutional setting; it certainly crossed national borders and transcended the solidarity of gender and sexual identity. Most importantly, it tended to be intergenerational rather than marked by alliances with contemporary schools and movements. Merrill’s cultivation of this insider/outsider status also shaped the general reception of his work in the United States. Over the course of his fifty-year career, he was able to sustain a dedicated, influential, and some would say, elite, readership. His reputation grew with every volume he published, but this reputation depended on his readers’ strengthening loyalty as much as on their expanding number. Some of Merrill’s admirers praised his ability to reveal the minutest aspects of personal experience in a way that makes them applicable to a larger audience. Here is Helen Vendler’s often-cited remark from her review of Merrill’s 1972 volume Braving the Elements: “The time eventually comes, in a good poet’s career, when readers actively wait for his books: to know that someone out there is writing down your century, your generation, your language, your life — under whatever terms of difference — makes you long for news … He has become one of our indispensable poets.” Merrill, a “good” poet in Vendler’s opinion, is an alert and thoughtful chronicler of the second half of the twentieth century. By describing the vicissitudes of his own life, he at the same time portrays our common amusements and anxieties. According to Vendler, his poems have the uncanny ability to speak directly to the reader — as long as they can reach “one perfect reader” (in Merrill’s own phrase) or as long as that one perfect reader can reach them. We can contrast Vendler’s encomium with reviews that fault Merrill for his apparent failure to communicate with a larger audience. Writing for Parnassus in 1991, Mary Karr called his poems “mere amusements, rather than paths to or from human experience.” What did Karr mean by “human experience”? The fact is that Merrill grew up surrounded by governesses, frequently traveled abroad, and never had to work for a living. Clearly, his poems can only portray the kind of experience that is unfamiliar to most readers. His oeuvre may be a goldmine of subjects — life and mortality, fact and fiction, love and loss — but his poems still seem limited in their scope, written by an individual with a specific social background, leading a specific lifestyle, and holding a set of specific attitudes about the world. They portray the experiences of a person leading a life of comfort and privilege; they are intended for a particular kind of reader who happens to share the author’s personal characteristics and social status. Underneath their brilliant colors and dazzling surfaces, Merrill’s poems describe, as Anatole Broyard remarked in 1983, “liberties that most of us never know.” At all times the poet is aware of his social position — and so are his readers. What’s interesting about these statements by Vendler and Broyard, and to some extent by Karr, is that each critic, regardless of their estimation of Merrill’s work, speaks in a kind of code. Vendler’s image of Merrill as a poet who writes down the century “under whatever terms of difference” is just another way of emphasizing his “naked singularity.” For whom does the poet write? Vendler’s evocation of the common reader impatiently awaiting “news” from Merrill’s poetry is hard to reconcile with Merrill’s declaration, in one of his most representative poems, “I rarely buy a newspaper, or vote.” It seems more likely that Merrill’s audience would consist of readers that are intellectually and temperamentally similar to him, perhaps similar to the Harvard critic herself, but not to the mass readership her words envision. Broyard, in his not entirely unsympathetic review, says bluntly that Merrill’s access to wealth “sets him apart in certain ways.” To further emphasize Merrill’s detachment he deploys the Narcissus trope — his review is entitled “The Mirror of Poetry” — to the effect that Merrill now emerges as a self-involved, self-referential, indeed very much dispensable poet. Commenting on the visionary aspirations of Merrill’s Ouija board trilogy, Broyard says: “For all their brilliant lines, the three long poems strike me as a grand and perhaps necessary digression, a fling with that infinite so foreign to poetry. It’s the sort of experience, I think, from which one generally returns chastened, surfeited, wise and reconciled once more to the exquisite convenience of the concrete.” In their wildly exaggerated opinions of Merrill’s centrality (Vendler) and marginality (Broyard) to American poetry and its readership, both critics underscore his singularity; he is a poet out of reach, if not out of touch. In each review Merrill’s homosexuality is barely alluded to, and yet undoubtedly registered. Many scholars have shown how that “literary love, tempered by defense” operates in Merrill’s trilogy vis-à-vis the legacy of earlier poets, including twentieth-century ones like Yeats, Stevens, and Eliot. Its cultural ambitions aside, The Changing Light at Sandover demonstrates that the most significant literary relationships are also the most personal ones — those that transcend the temporal boundary, those that are made possible through the solitary acts of reading. In his intertextual engagements with his predecessors Merrill also goes to great lengths to protest against the masculinist and heterosexist biases that are often implicit in their constructions of poetic authority; taking a cue from Apter, we could say he “devalues” his “originals” in this way. As he examines scientific theories, religious concepts, ideas about “human nature,” and the Western canon itself from a markedly queer perspective, Merrill participates — more vigorously than is usually acknowledged — in the identity politics of the 1970s and 1980s. However, this participation is still defined by the position of “naked singularity” — the inimitability of composed voice and of created vision. Ultimately singularity may be as elusive and imprecise a term as community, but it seems quite fitting to our considerations of this mercurial, unclassifiable poet. As we look at varieties, models, and definitions of poetry and/in community, the example of James Merrill gives us a chance to talk about the possibilities of resistance to community, or at least about transtemporal versions of it. 1. James McCourt, Queer Street: Rise and Fall of an American Culture, 1947–1985 (New York: W. W. Norton, 2004), 416. 2. Leo Bersani, Homos (Cambridge: Harvard University Press, 1995), 79. 4. James Merrill, Collected Prose, ed. J. D. McClatchy and Stephen Yenser (New York: Knopf, 2004), 51. 6. Piotr K. Gwiazda, James Merrill and W. H. Auden: Homosexuality and Poetic Influence (New York: Palgrave Macmillan, 2007). 7. Todd Gitlin, The Twilight of Common Dreams: Why America Is Wracked by Culture Wars (New York: Metropolitan Books, 1995), 126. 8. Rita Dove, introduction to The Penguin Anthology of 20th Century American Poetry, ed. Rita Dove (New York: Penguin, 2011), xliii. 9. Merrill, Collected Prose, 88. 10. Alison Lurie, Familiar Spirits: A Memoir of James Merrill and David Jackson (New York: Viking, 2001), 9. 11. Robert von Hallberg, American Poetry and Culture 1945–1980 (Cambridge: Cambridge University Press, 1985), 18. 12. Langdon Hammer, email to the author, October 12, 2008. 13. Helen Vendler, review of Braving the Elements, in Modern Critical Views: James Merrill, ed. Harold Bloom (New York: Chelsea House, 1985), 69. This passage was also reprinted on the jacket flap of Merrill’s Collected Poems. 14. Merrill, Collected Prose, 83. 15. Mary Karr, “Against Decoration,” Parnassus: Poetry in Review 16, no. 2 (1991): 285. 16. Anatole Broyard, “The Mirror of Poetry,” New York Times, January 29, 1983, A12. 17. Merrill, Collected Poems, ed. J. D. McClatchy and Stephen Yenser (New York: Knopf, 2001), 199. 18. Broyard, “The Mirror of Poetry.” A12. 20. Emily Apter, “Translation with No Original: Scandals of Textual Reproduction,” in Nation, Language, and the Ethics of Translation, ed. Sandra Bermann and Michael Wood (Princeton and Oxford: Princeton University Press, 2005): 170–171. 21. Robert Polito, “Tradition and an Individual Talent,” in A Reader’s Guide to James Merrill’s The Changing Light at Sandover, ed. Robert Polito (Ann Arbor: University of Michigan Press, 1994), 246. 22. Harold Bloom, Anatomy of Influence: Literature as a Way of Life (New Haven, CT: Yale University Press, 2011), 8. 23. Merrill, Collected Prose, 83.